Wrong size and charged me to return. 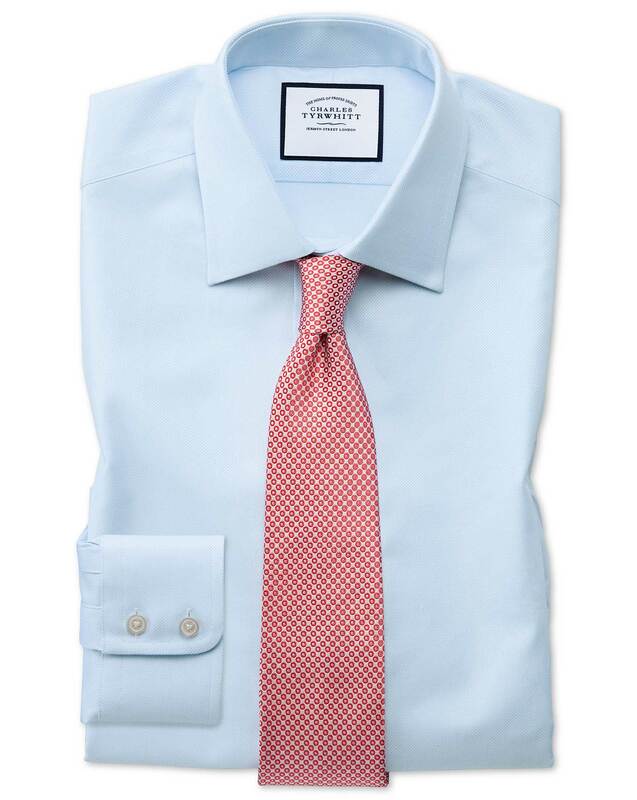 Response from Charles Tyrwhitt: I'm sorry to learn there was some misunderstanding in regards to the item you recently ordered, as well as how our returns process works. I can see you ordered your shirt with 37" sleeves and requested that they be shortened to 33" - which we were happy to do. I'm unsure where the "42" comes in, however, so would be grateful if you could expand on this. If a customer is ever sent an incorrect or faulty/damaged item, we would always ensure the return handling costs are removed - but of course, we do need to know so we can assist. Please don't hesitate to reach out to our Customer Service Team by telephone, live chat or email at any time for assistance. Classic Oxford. The quality is evident immediately. The shirt is way too tight. Response from Charles Tyrwhitt: It is unfortunate that the fit/size of the shirts purchased here was not suitable for you. We offer our shirts in a wide range of sizes and fits, so I am confident we will be able to find your ideal combination. A move to the Classic Fit would seem appropriate based on your comments, but this would also require a move to a 15" collar - as the Classic Fit isn't available in a 14.5" unfortunately. You are welcome to pop in and see us in our Chicago or Oakbrook stores to get fitted and find out your perfect size.